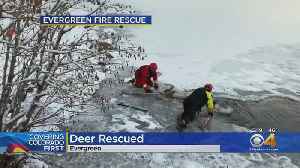 A deer is fine Friday after Ipswich first responders were able to rescue it after it fell through the ice. 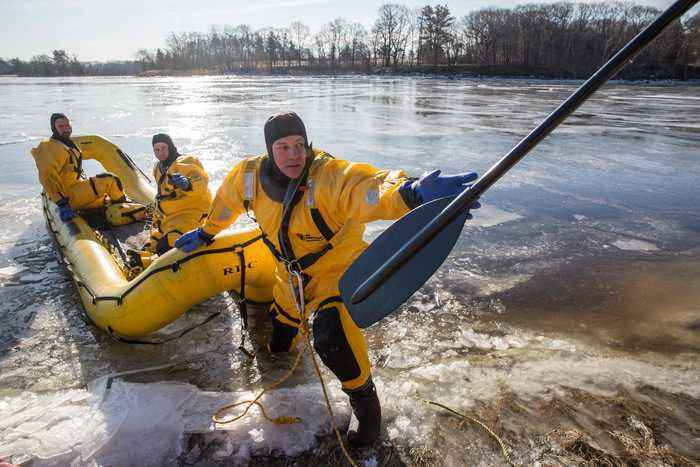 Thank you to the nice (and smart) lady who called 911 about a deer thru the ice. 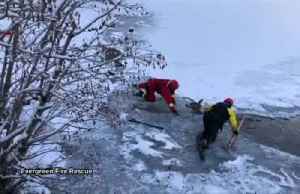 EFR suited up and help this little guy get back to shore. Please be very careful around creeks, ponds and lakes as the.. 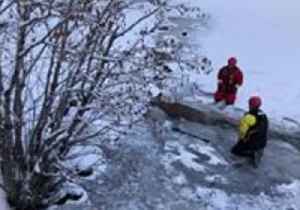 Firefighters in Evergreen, Colorado, rescued a deer from the icy Evergreen Lake on Saturday, April 13.Footage of the rescue shared to the Evergreen Fire Rescue Facebook page shows two crew members..
Evergreen firefighters rescued a deer from an icy lake early Saturday morning. 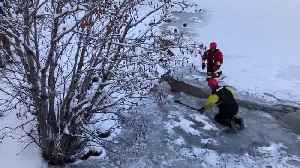 A deer that fell through ice on the Otonabee River, in Peterborough, Ontario, managed to make it to safety without the help of the local fire service, which had been called out especially, as this..